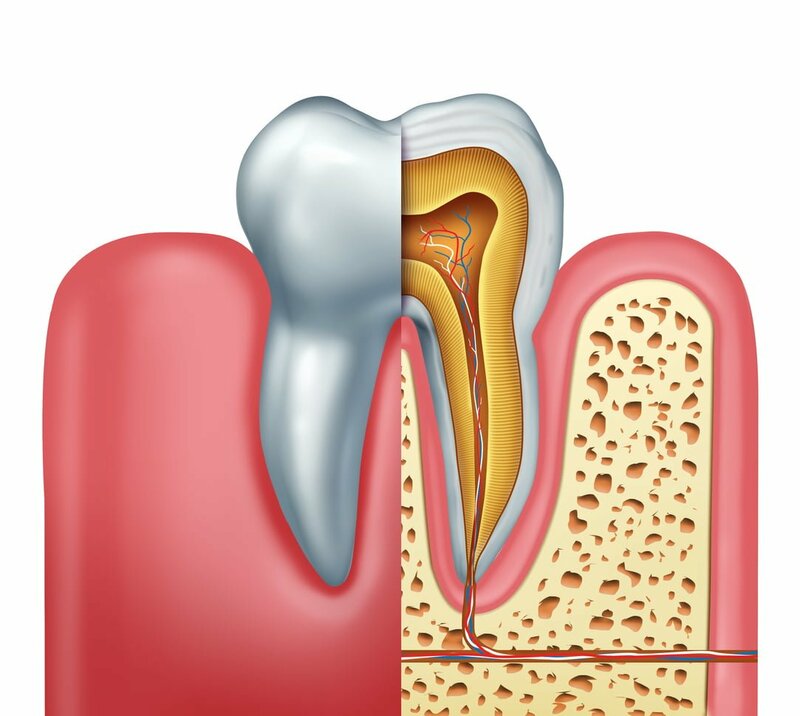 A root canal treatment is a surgical procedure used to drill into a decayed tooth and remove its infected pulp centre. The main causes of infected pulp are tooth decay, severe damage to the tooth, and weak fillings. The first sign of an infected pulp is when it begins to become inflamed. Other signs may be an emission of puss, noticeable discolouring of your tooth, small pimples on your gums, and severe pain. An infected pulp can cause the sufferer severe difficulty in swallowing, biting hot/cold foods, and can be generally unpleasant. Whilst most people will try to cope with the pain of the infection by taking painkillers, it is important to have it treated as soon as possible. Furthermore, although your tooth does have an infection, antibiotics are rarely successful in curing the problem. Without proper treatment, the infection from your pulp can spread causing you to lose teeth naturally, or force you to have them extracted. This can cause severe amounts of discomfort and is more expensive than initial root canal treatment. With any form of medical problem, prevention is better than a cure. If you start to show signs of needing a root canal treatment you should visit your dentist as soon as possible. They can assess whether you will need treatment or discuss other options available, which may save you from losing valuable teeth and keep your pristine smile intact. Fortunately, a root canal procedure is easily performed and is usually done so in one or two appointments. This will be totally dependant on the size of infection of the pulp. Generally, a first appointment can take up to 90 minutes and will be performed under general anaesthesia. Whilst it is common knowledge that a root canal procedure is painful, the treatment can sometimes offer sufficient pain relief. Once the diseased pulp is removed, the patient can expect a minimal recovery time due to the bodies natural ability to heal itself once an infection is removed. Most pain relief prescribed would be on a temporary basis and can be obtained over the counter of all good drug stores. After a successful root canal procedure, it can take a few days until the pain subsides. After this, you should feel back to normal and ready to say cheese at a moments notice. If you’re suffering from any of the symptoms listed above, it is best to seek medical help as soon as possible to prevent a potential infection from spreading. Contact us today to book an appointment with one of our friendly and experienced dentists.